A concise yet comprehensive reference guide for art lovers and art students, this illustrated volume profiles major artists from classical antiquity to the modern era. All 501 artists featured in this book receive at least a one-page entry that summarizes their life, their work, and their influence. The most influential artists are discussed in entries of up to four pages. Entries are illustrated with portraits of the artists and reproductions of some of their best-known works. Included here are painters, sculptors, photographers, and performance and video artists. Among them are Renaissance artists Raphael and Michelangelo, northern European artists such as Peter Paul Rubens and Rembrandt van Rijn, English landscape painters Turner and Constable, French impressionists such as Degas and Renoir, Japanese artists Sesshu and Hishikawa Moronobu, American abstract expressionists Jackson Pollock and Willem de Kooning, twentieth-century European giants such as Pablo Picasso and Georges Braque, and modern sculptors Isamu Noguchi, Alexander Calder, Richard Serra, and many others. Important women in the arts are also included, among them, sculptor Louise Nevelson, painters Georgia O'Keeffe and Helen Frankenthaler, American impressionist in France Mary Cassatt, and many others. This informative and entertaining compendium of biographical sketches is supplemented with more than 670 illustrations, most of them in color. 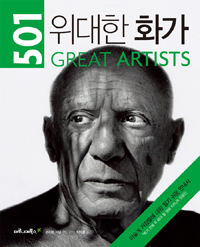 This enthralling, in-depth guide to 501 outstanding painters, sculptors, mixed media artists, photomontage artists, and installation artists spans the centuries as it describes artists from all around the world. 501 Great Artists presents an informal illustrated history of art in the form of concise, fact-filled artists' biographies. Each biographical entry includes an assessment of the artist's creative innovations and cultural impact. Entertaining and thoroughly researched, this information-filled volume covers the history of art from Renaissance muralists to Impressionist painters, and from Cubist mixed media artists to postmodern video artists. An illustration accompanying each biographical entry presents a portrait of the artist, and a supplementary list directs readers to the galleries and museums that exhibit the artist's most famous works. An illuminating quotation by the artist or an art critic offers additional insights into the artist's psyche and body of work. Compiled by the well-known English author and art teacher Professor Stephen Farthing, and written by an international team of art critics, art historians, and artists, 501 Great Artists provides readers with a truly comprehensive guide to the art world's most important men and women. Included are superb reproductions of many of the masterpieces discussed in the text, as well as illustrations of the artists at work in their studios. Art lovers and museum visitors looking for a reliable reference source, will turn to this book time and time again for information about the individuals behind the world's great art masterpieces. Stephen Farthing is a painter and the Rootstein Hopkins Research Professor in Drawing at the University of the Arts, London. In 1990 he was elected Master of Ruskin School of Drawing at the University of Oxford, and a Professional Fellow at St. Edmund Hall, Oxford. In 1998 he was elected member of the Royal Academy of Arts, London. He originally studied at St. Martin's School of Art, London, gaining an M.A. in painting from the Royal College of Art, London. He has been teaching fine art since 1977. His paintings are exhibited in galleries throughout the world, in particular, in the U.K., Japan, and South America.